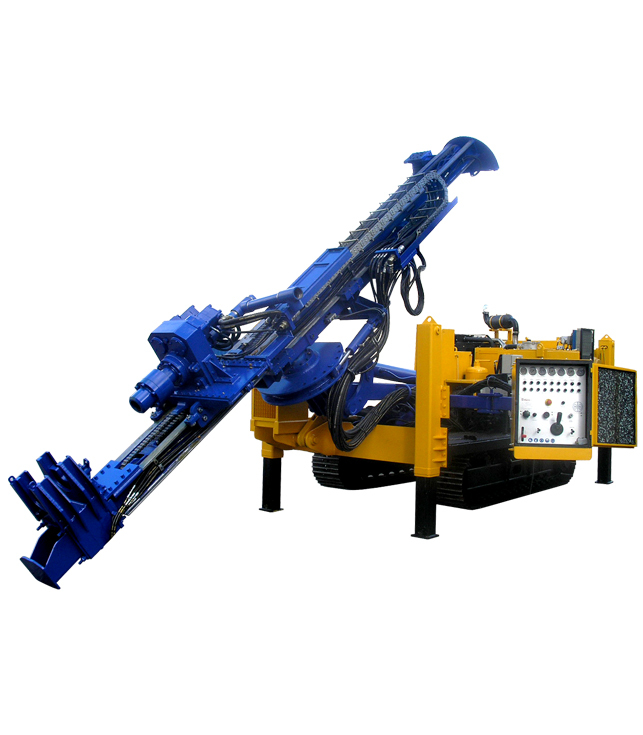 Specially desgined for geothermal drilling work, mounted on crawler tracks, special mast support for side reach, drill rod magazine with angle control with upper and lower. Rubber obturators for detritus pick-up. 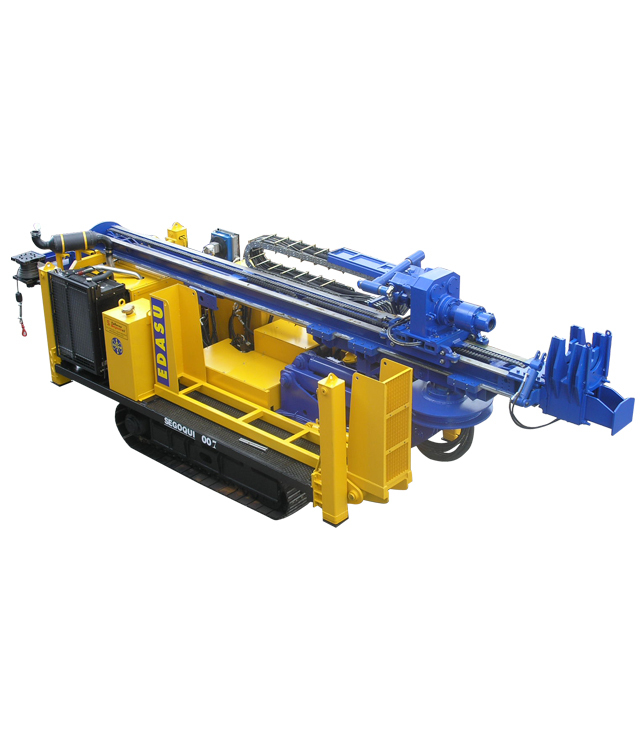 High speed position and operation for bore holes of 150 m. depth and Ø165 mm. There are two models. The lighter one is for dth hammer. 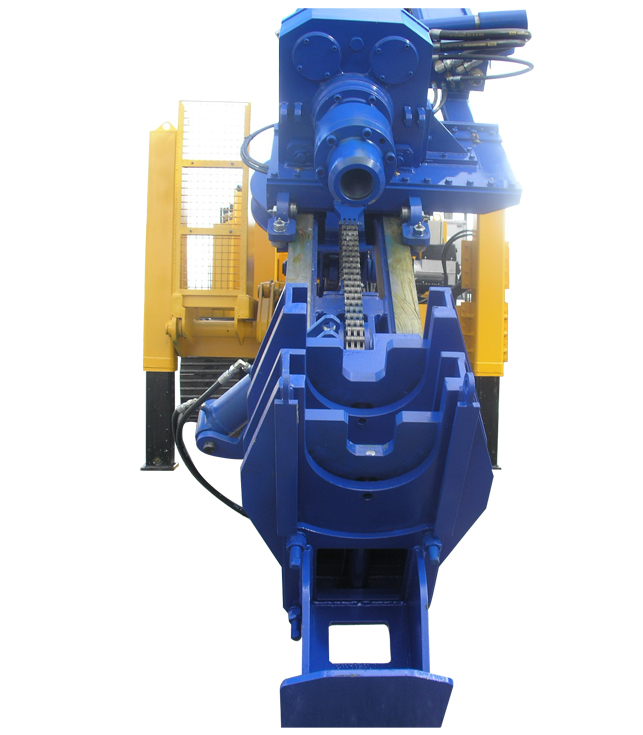 The heavier one with bigger diesel power engine for rotary drilling with mud pump. 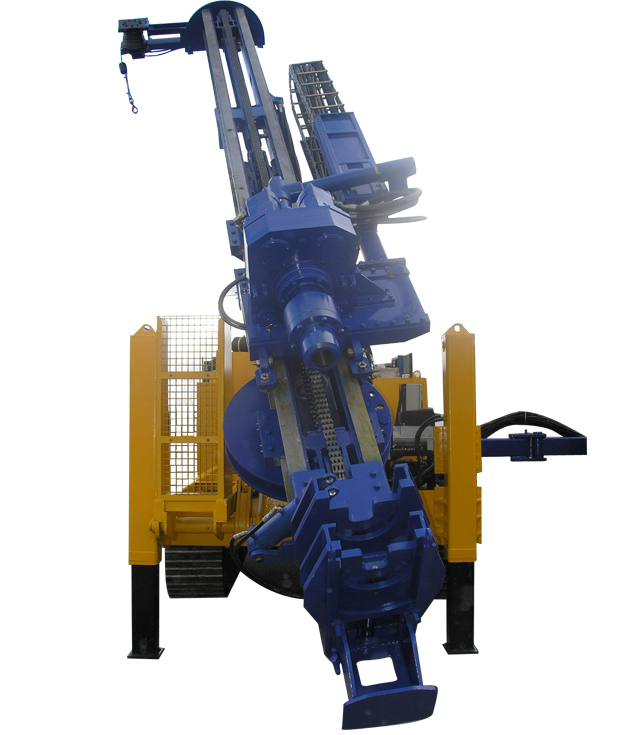 Purpose: Geotermal, anchoring and micropiles..
Power: 165 kw (200 H.P). Max. Rot. Torque: 8000 Nmx130 RPM simultaneuously. 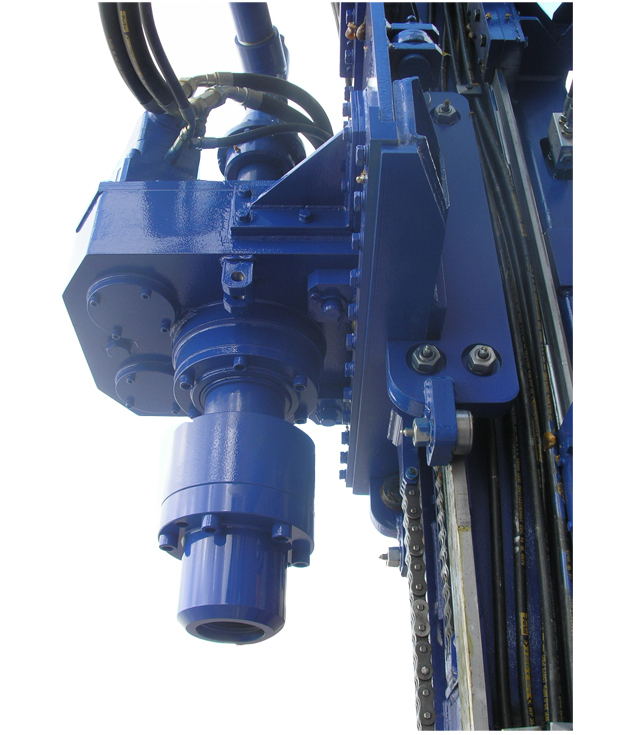 Rotary head: Variable flow hydraulic pump/motor. 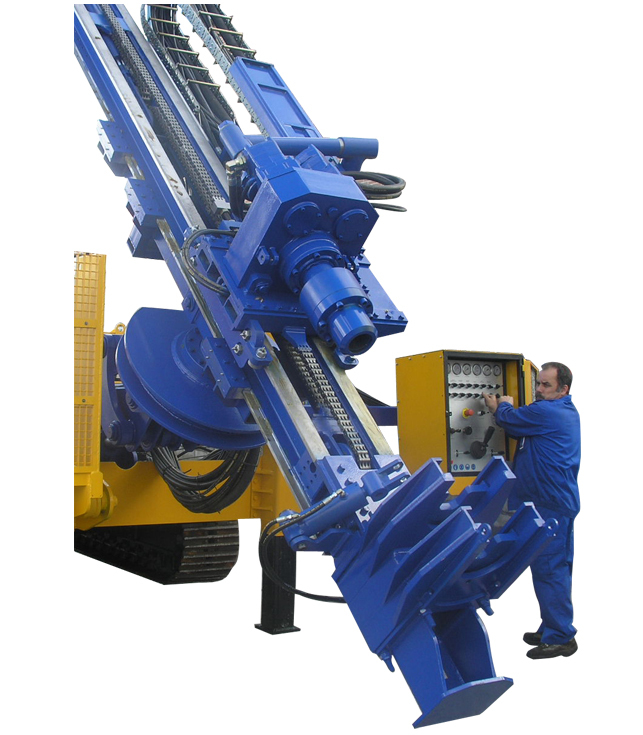 Tower table: Dual hydraulic tables with 220 mm ID. Drillrods: Ø76mm, ø90mm, ø114mm, ø90mm of 3m long. 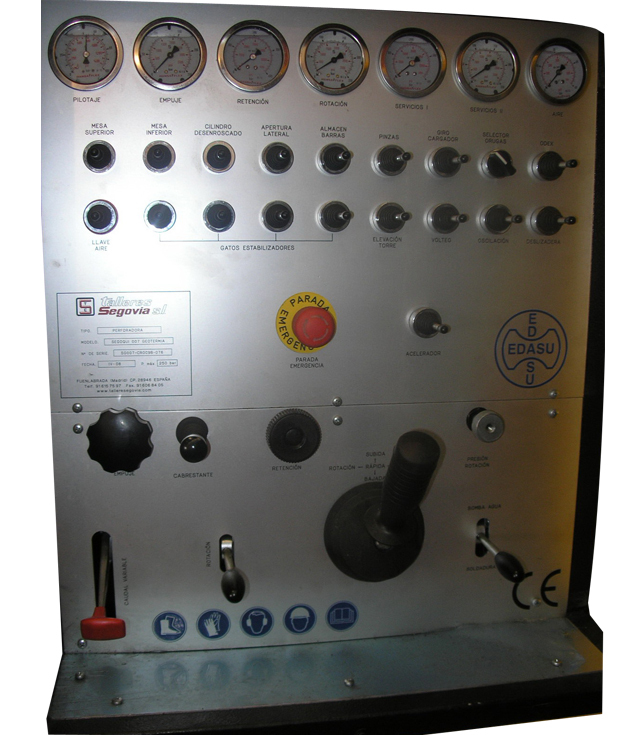 Module control with side position and retract.